To determine the size of your bracelet, take a flexible measuring tape and wrap it around your wrist just below where you would wear your watch. Measure snugly and then add 1 inch. If you don't know the size of someone's wrist and the bracelet is a gift, you can guess. I consider a 7" bracelet as petite, a 7 1/4" bracelet as small, a 7 1/2" bracelet as medium or regular size, a 7 3/4" bracelet as large and an 8" bracelet as extra large. I can make them even larger than 8" if you like. 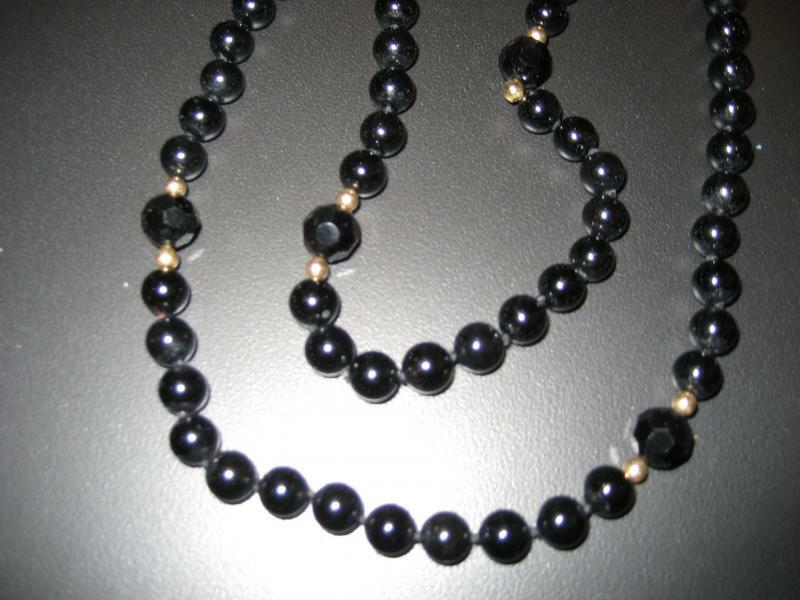 To determine the size of a necklace, take a flexible measuring tape and wrap it around your neck. Measure snugly and then add 1 inch. Standard necklace sizes vary from 17" to 19". Pendant necklaces usually require additional length. I can make a necklace for you in any length that you request. I also design jewelry for every occasion. A wedding, a Prom, a class reunion, a special event, or just something with some "bling" to wear with jeans can be designed and constructed just for YOU! I am sure you will come to love Dreamstone Designs. Give me a call and I can match almost any color in your wardrobe. I stand behind my products, as my jewelry products are constructed of the finest quality components available in the jewelry industry today. Smoky Quartz, Freshwater Pearls, Sterling silver, and a Mabe Pearl Pendant make this attractive necklace gorgeous! Swarovski® Crystals from Austria are the finest quality, full-lead crystals made today. All of the crystals are faceted with tremendous precision, creating beautiful prisms. Brilliant colors and/or coatings are added to these crystals to create pendants, stones, and beads of dazzling beauty and tremendous variety of shapes and sizes. Swarovski® Crystal is unmatched in quality and distinction around the world. One of my favorites from Dreamstone Designs is the necklace of brecciated jasper hearts and small garnet beads with a maracasite pendant. The jasper is variegated, and the predominant color changes depending on the outfit I wear with the necklace. Pink gives the hearts an entirely different look from brown or green, for example; all lovely. I enjoy each and every one of my Dreamstone Designs pieces. Onyx and amethysts and garnets have long been favorites of mine. Now I know--and love-- stones like rainforest jasper and dendrite agate. These wonderfulsemi-precious stones from the Earth combined with top of the line Sterling and crystals make my pieces from Dreamstone Designs heirlooms to be treasured and passed on for generations!